Left 4 Dead 3 Will Shamble To The Xbox 720, Playstation 4? It’s fun to speculate. And until Microsoft and Sony give us official details about their next-generation consoles, the Xbox 720 and the Playstation 4, people will keep thinking and discussing about the kind of technology and features that they’ll be bringing with them. They’ll also keep talking about the games they’d like to see on those consoles. And one of those games is Valve’s Left 4 Dead 3. While the answer seems non-commital, it shows that Valve is still interested in continuing the franchise. But since there’s no confirmation that it’s already in the works, it’s safe to assume that we’ll probably see this game at least a few years from now, when the Xbox 720 and the Playstation 4 are already in the market. “On the PC we will incorporate Steam Workshop, so people will be able to create items. Right now, if you watch any video of people who play a lot, none of them are wearing the same outfits. They all change them up. There’s not a good path for them to get it into the game now or get on our servers. There’s a lot of work we need to do to make sure you can put stuff on but you can’t cheat. In co-op it’s less important because if you’re cheating in co-op you’re kind of an idiot. Well, you’re an idiot anyway for cheating. But particularly there. So we’re doing a lot of work there. 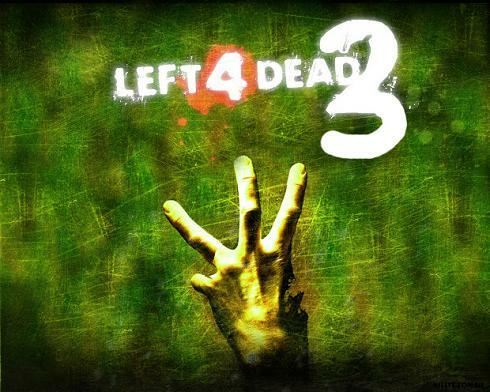 What direction would you like Left 4 Dead 3 to take? What would make it the ultimate zombie game for the Xbox 720 and Playstation 4? Share your ideas in the comments below!